The Challenge: TEQtogether is committed to changing men’s attitudes and behaviours towards women and technology. 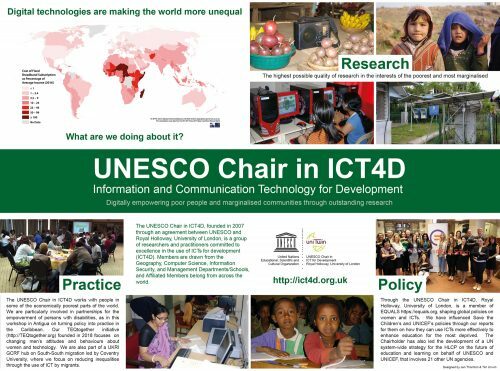 TEQtogether is an initiative within the UNESCO Chair in ICT4D designed to change men’s attitudes and behaviours with respect to women and technology. Digital Technologies can bring great benefits to individuals and communities. However, they also have a darker side, increasing inequalities and being widely used for abuse and harassment. This is especially true at the interface between women and technology. Women are not only often marginalised in the tech sector, but they are also frequently violated through technology. It is widely recognised that there has long been gender inequality within the tech sector, but what is less well known is that this gender equality is increasing. The ITU thus notes that “The global Internet user gender gap grew from 11% in 2013 to 12% in 2016. The gap remains large in the world’s Least Developed Countries (LDCs) — at 31%. In 2016, the regional gender gap is largest in Africa (23%) and smallest in the Americas (2%)”. The UN-led EQUALS partnership has sought to tackle this rising inequality in new ways, recognising that most past initiatives have failed to make sufficient impact. TEQtogether is part of our contribution to EQUALS. One of the main reasons for such failure is that many previous initiatives have been led by women for women, and have focused particularly on ways through which women can be supported in developing careers in the tech sector or using Information and Communication Technologies (ICTs) otherwise to improve their lives. Gender inequality still exists, though, in large part because of the failure of many such initiatives sufficiently to change men’s attitudes, and to involve men centrally in changing behaviours that lead to the abuse and harassment of women through digital technologies. TEQtogether is intended explicitly to address this failure, using ICTs together to change men’s attitudes and behaviours. Full details and resources are available on the TEQtogether website.